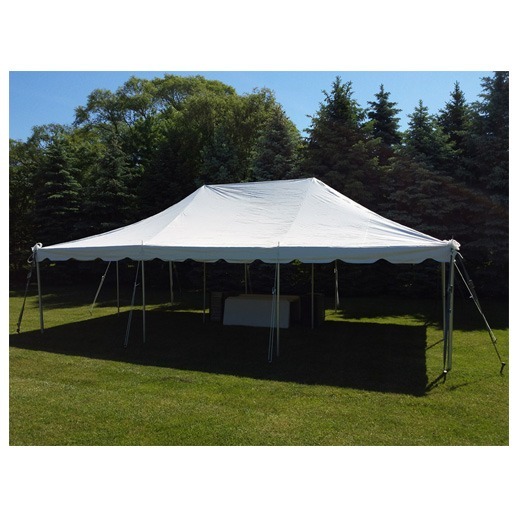 20 x 30 Pole Tent. 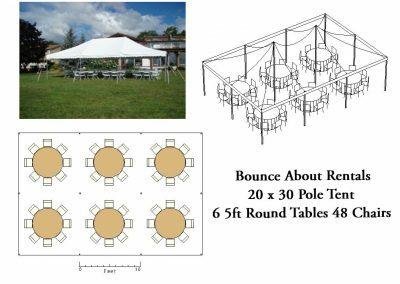 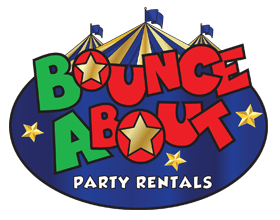 Pole tents are designed to be set up on ground or grassy areas. 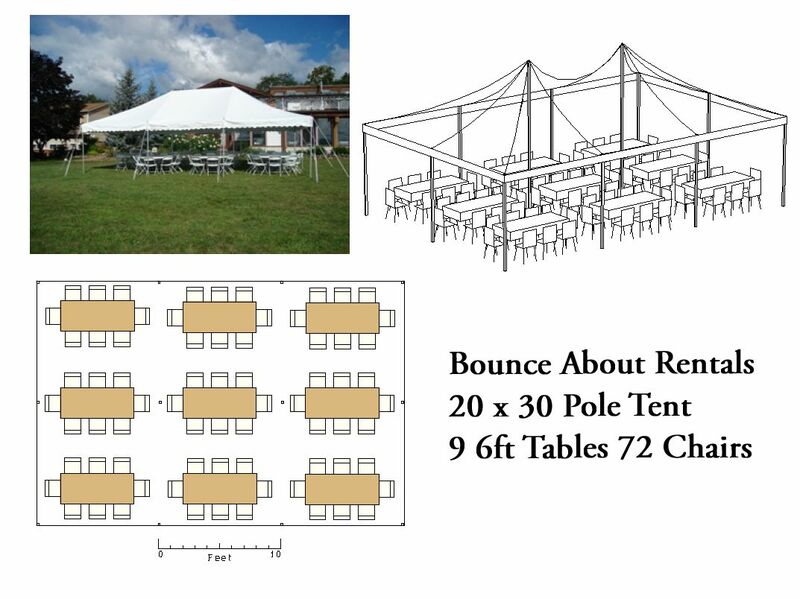 A pole tent uses stakes driven in the ground, and tent ropes attached to them in order to support the side and center poles. 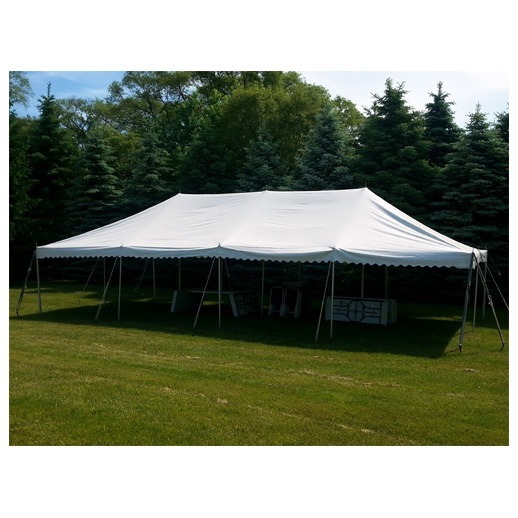 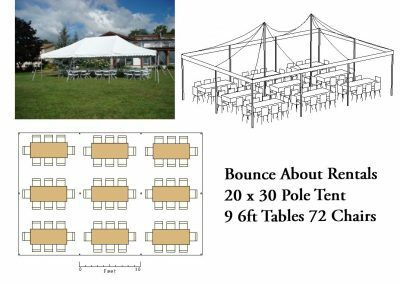 Usually a pole tent has at least 1 pole in the center as the main support for the tent. 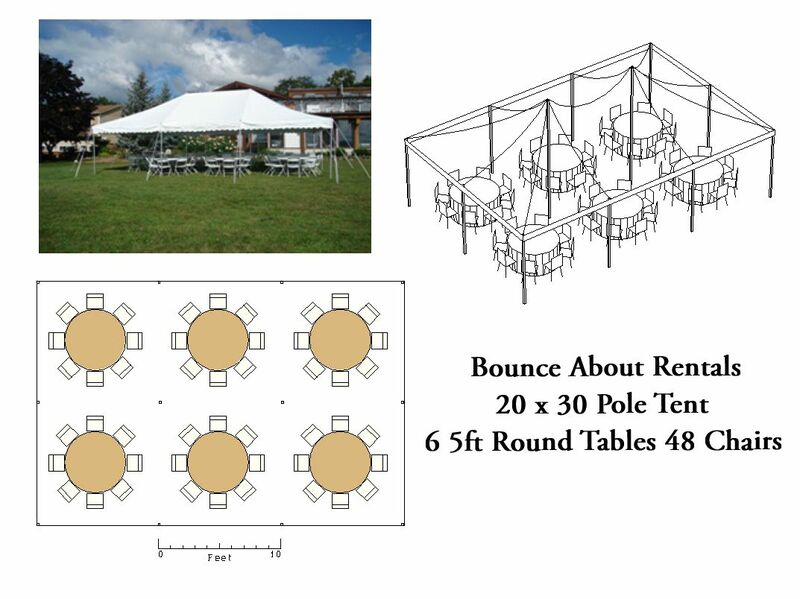 See table and chair set ups below.